Travel to Peru, learn the ancient secrets. 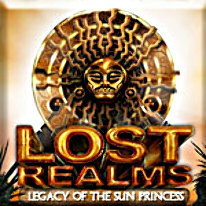 As we enter Lost Realms: Legacy of the Sun Princess, Alexia is woman in need of answers. Her nights are wracked with dark visions of an ancient Incan empire, burning and ruined. She sets out with her best friend Nicole to Cuzco, Peru, in search of ancestral ruins, armed with little more than visions, and hope. Help Alexia search for clues to her connection to the ancient Incas, and solve the mystery that devastated an empire. Devious puzzles await, but Alexia can not rest until she uncovers the truth.